Rocky Mountain Bike for Sale! Gorgeous Vertex 930 2016. 29 inch wheels, Large. Black with red accents & white branding. Immaculate, ridden only a few times. Shimano brakes, levers, shifters. Hydraulic front suspension. New models are $1,899. Save over $500. Price is firm. The hidden factors that contribute to Autism. Learn the facts and how to reduce the likelihood in your children. Research is pointing to “excessive exposure to toxins from multiple sources…” One study by the Environmental Working Group (EWG) found an average of 287 toxins in newborn blood. Of these, 180 are known to cause cancer in humans or animals. 217 are toxic to the brain and nervous system. “Autism appears to be strongly correlated,” and “this gives an indicator of environment load,” as Dr. Mercola quotes a University of Chicago study by Andrey Rzhetsky, Ph.D., professor of genetic medicine and human genetics. Another report from the Harvard School of Public Health and the Icahn School of Medicine at Mount Sinai identified common chemicals known to disrupt brain development and cause brain damage. The authors call for the implementation of urgent preventive strategies. Electromagnetic radiation (EMR / EMF) from cell phones, cell towers, Wi-Fi devices, which can trap heavy metals inside of nerve cells, accelerate heavy metal toxicity, and hinder natural detoxification processes. Microbial toxins, such as mold. Children with autism not only have overwhelmed detoxification pathways and often heavy metal toxicity, but, according to Dr. Klinghardt, their bodies are also frequently beset by toxic microbes. 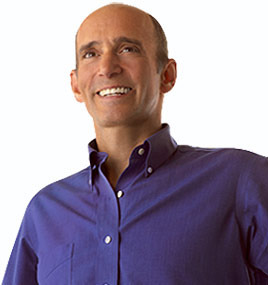 In addition to eating more organic and biodynamic foods in general and consuming foods known for their preventive properties (as described by Dr. Mercola here), be sure to limit your exposure to harmful electromagnetic frequencies (EMF). Electrical equipment and electronics: Increase your distance from power cords, electrical equipment and electronic devices. 1 meter distance is best. Don’t forget the distance of your feet from power bars. Sit back from your computer. Cell Phones: Come up with a “cell phone off strategy” that works for your personal lifestyle. Even if you decide to have your phone in airplane mode 50% of the time, that’s 50% better. Make sure WiFi is off as well. Text instead of talk. Use the speaker phone when talking. Some headphones reduce electromagnetic radiation, but you’ll need to test them with an EMF meter. Don’t hold the phone to your head. Don’t keep the phone on your belt or in in a pocket. Cordless Phones: Throw them away. Replace with corded landlines. The new DECT phones emit high levels of constant microwave radiation, even when not being used. Home or Office Wiring: There is high frequency pollution in your electrical wiring. It needs to be dramatically reduced. The best way to do this is to have STETZERiSER filters installed in your home (an average of 2 per room). We can do this for you. Note: do not sleep or work near your building’s electrical panel. Keep at least 3 meters away. Smart Meters: Ask your utility to have your wireless smart meter wired or replaced with a wired model. If unsuccessful, have us install a smart meter shield set and a set of STETZERiSER filters*. Don’t sleep in a room near the location of the smart meter. Bedroom Sleeping Practices: Make sure sleeping quarters are EMF-clean. Follow the steps above that relate to electrical and electronic equipment, WiFi, phones, etc. And be sure to move your clock radio at least 1 meter from your head, and preferably across the room. Don’t use wireless Baby Monitors. Replace your metal lamp with wood or ceramic or unplug the lamp and move it away from your body. Consider turning off the power to your bedroom at the electrical panel for a better night’s sleep. More on how to get a good night’s sleep. Workspace Practices: Follow the applicable tips above and work with fluorescent tube lighting turned off. Remove CFL (compact fluorescent bulbs) from your workspace. Use LED lights (the type that don’t use transformers) incandescent light bulbs where possible. Suggestion: Have one of our EMF technicians come to your workplace (or home) and test the EMF levels. You won’t know until you have the electrical, magnetic and high frequency readings measured and interpreted for you. You should have values less than 1 milliGauss for magnetic fields; 5 V/m for power frequency electric fields; 40 – 50 GS units for dirty electricity; 0.01 microW/cm2 for wireless radiation; 0.5 V for ground current at 60 Hz; and 10 mV for kHz ground current. Consider Shielding: There are a lot of EMF mitigation techniques available, but some sources of harmful electromagnetic radiation simply can’t be avoided or removed. That’s where shielding comes in. Two of the best products we’ve come across are the ADR-TEX Universal Electro-screen and the ADR-Mat . They are superior products with significant international recognition and awards. Contact us for more information, or if you’re ready to buy, use the coupon code: 5%emf when you make your purchase at ADR. Power Lines: What is a safe distance from power lines? Have us come and measure the magnetic and electrical readings from the power lines near your home or office. In research carried out at Oxford University, it was discovered that children who had lived within 200 m of high voltage lines at birth had a 70% higher risk of leukaemia than those 600 m or more away. More about power lines here. A General Health Tip: Keep fit and eat well. Exercise, get fresh air, eat fresh organic foods, take plant-based supplements because most of us don’t get enough nutrients for optimal health in our modern diet. And learn to have a relaxed attitude. You’ll live a healthier life and your body will be better equipped to cope with EMF exposure! * GS filters are tuned capacitors that reduce high frequency voltages (transients) on electrical wires. They protect sensitive electronic equipment. Studies show they also reduce symptoms of electro-hypersensitivity. GS filters should be installed with proper monitoring (microsurge meter) to ensure levels are sufficiently low for maximum benefit. We perform EMF inspections in Toronto, GTA, Hamilton, Burlington, Oakville, Mississauga, North of Toronto, up the Hwy 11 corridor to North Bay and across Ontario. Special arrangements can be made for other areas in Ontario and remote consultations available across the U.S., Canada, and world-wide by means of our unique REMOTE HOUSECHECK service. See “Why people are worried about EMF: a UK perspective“ European Commission, Brussels. For more information on how you can protect yourself from harmful EMF radiation, contact us here. 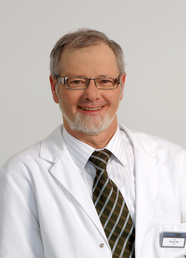 Thomas M. Rau is the medical director of the Paracelsus clinic in Switzerland. It is well known for understanding the root causes of disease and patient health. The following interview makes extremely interesting and important reading! This brief read expresses the concern Dr Rau has over the proliferation of cell phone towers. They can interfere with patients’ biology and particularly the unconscious (sympathetic/parasympathetic) nerve system. These functions can be severely compromised by radiation from cell towers. For info on how to protect yourself from EMF radiation or for an EMF home inspection, call Paul Singer at 905-719-7030 or email me. The Paracelsus clinic sees 3,000 EHS patients out of the 10,000 patients they see annually and has a wealth of information to share with us so that we can better understand and protect ourselves from harmful EMF radiation. The following interview transcript discusses the effects of dental fillings and other metal in the body, cell tower dangers, thoughts on autism, and goes into a variety of helpful information on EHS (electromagnetic hypersensitivity) and EMR (electromagnetic radiation). People with heavy metal loads in the body tend to suffer much more from electromagnetic radiation as compared to those who do not. The heavy metals might well be absorbing the EMR: root canals, amalgam fillings, implants, etc. can be the problem. A large, solid 35 year old man became sick with trigeminal neuralgia. Many diagnoses saw it as “idiopathic”, meaning they didn’t know and he had to live with it. He even became suicidal. The Paracelsus clinic saw that he had a root canal and amalgam filling. He did have the filling for 20 years before an antenna tower was installed near his home. He removed the amalgam filling and moved and had total remission from the sickness. There is a village in Switzerland where they built a tower. They asked about diseases in two villages prior to the transmission–the one which has the tower, and another comparable village but with no tower. They asked about the diseases in the two cities after 1 and 2 years after transmission started. They found a very significant difference of problems in the town with the tower installed. Symptoms seen: Children’s concentration problems, ADD, heart problems, significant increase in arrhythmia, significant increase in problems with the behaviours of school children. Symptoms of EHS include headaches, deficiency of concentration, back pains from cervical and lower spine (tension of muscles becomes more spastic and continuous pressure/tension exacerbates the problems). With migraine presenting, my first test is for “electromagnetic cloud”. We work together with an institute that measures the cloud, then they either isolate from the outside cloud or remove problems devices. The portable house phones (DECT) are very significant for their “electromagnetic clouds”. The patients get better. Very frequently patients suffer sleeping disturbances. We have a tower in our private house which sends to the village. We insulated the house and walls, and we put our children out of the rooms which is directly exposed to the tower. On the day after changing they slept better. Before, our son fell out of bed nearly every night, and after, none of this behaviour. We have a method, bioresonance, to measure scientifically the function of the unconscious, the parasympathetic and sympathetic nerve system. They should balance and yet they do not with EHS and electromagnetic cloud. This is like the Hartrite Variability. We have a more refined instrument but the same principle is used. That was acute symptoms: what do we know about the connection between these invisible stressors and chronic conditions? Our clinic treats a lot of patients with cancer patients in all stages. Since we know about the relationship, we now test them all for electromagnetic sensitivity. Nowadays I am really convinced that electromagnetic emissions/loads from different sources are a very important factor to the building of all cancers. What is very important is that the EMR load leads to a deficiency of the pituitary gland; sleeping disturbances for example; regulation of the thyroid and adrenal gland. The stress capacity decreases significantly and this is the major factor that makes patients weak when they have EMR exposure. With all of our patients we have remediation from EMR. It is one of our trainings with cancer patients to avoid things like cordless phones in the house; they are even worse than mobile phones: television in the sleeping room and other things that contribute to EMR load. Parkinson’s patients—we have several who profited a lot from our EMR advice. Alzheimer’s is difficult as it does not help so much even though EMR might be a factor of causation. Also mental problems, depression, anxiety, concentration deficiency, sleep disturbances –they profit very much from electromagnetic training. What about Autism and EMR? I doubt very much that many children are born with autism; they normally regress. At birth we can’t judge. They are vaccinated, and we think vaccination has a very bad effect for building autism. And combine that with the EMR and it blocks the brain activity, it loads the brain, and this is just ‘fatal’ to the child. It is very important that the autistic child keeps away from the electromagnetic cloud. What degree of impairment happens in patients? All facets are possible. Some patients are invalid, some are compromised. We ask patients when do they have symptoms? What is it like when you go on holidays? Do you use your mobile phone? Do you have tinnitus? Tinnitus is maybe 90% related to EMR. How does EMR affect microorganisms? What is going on in Europe with EMR awareness? Lichtenstein put the resolutions into law restricting EMR. An area in South France is creating a white zone for EMR. Why? Is it worse there? In the USA we seem to be unaware. In Europe, we have different radio stations and a multiplexity of opinions, and it is more difficult to wash one opinion away. France and Italy are very behind with EMR. They have the highest concentration of atomic power stations (France). The northern countries (Scandinavia) are very much advanced. For example in Sweden they have stricter laws on power stations, and amalgam is forbidden to be put in teeth. Things got much better lately, and good information proliferated as patient groups got much more activity, and with the actions of institutes such as our geopathological institute. Actions of advocates against EM clouds. In the US there have been antennas put up on properties and people get money for it. Does that happen in Europe? It seems crazy to do it if it impairs concentration and learning. It is criminal, unethical to expose children to EM clouds in this way. We know that power stations for EM waves like mobile phones are helping illness, so putting it in schools is very bad. The children’s IQ will decrease. Does the society really want to have intelligent well educated children or not? You will have more ADD children. You will have more reflection of this on the reduced ability to teach children, we will have more dull and dumb children. This is absolutely clearly my opinion that we will be dulled, dumbed, in the future from this EMR. What about depression and emotional balance and the effect of EM fields. We have seen a skyrocketing of depression in the last 15 years. There are many causes, I would not say EMR was specific but it is one of many causes. Many causes add up to the fatal effect. Wrong nutrition, toxins in the air, the water, the teeth toxins, the sugar, the wrong bacteria and on top of all of this, the horrible situation with the EM cloud. Does it affect people’s ability to interact with each other? With EMR the sympathetic action increases, the parasympathetic decrease. By increasing the former you get more animosity, more aggression, a less peaceful approach. This interferes with the whole of society very, very much. What needs to happen? Are our governments responding to the crisis? If the politicians were listening and fulfilling their duty, not only the suggestions of the industry, then they would have the duty to reduce EM loads. It is not only the politicians that are bad guys, it is also the individual which is very undifferentiated in using all of these technologies. I ask patients about their use of mobiles, DECTs, TVs, and do you take minerals and trace elements? Have you ever been to a biological doctor who has tested your resistance to EMR. I see that they do nothing, so who wonders when they are sick. It is like running on a road with lots of traffic… do you look left and right before you cross? Yes, they do that with the road, but not with other issues that can hurt you. It’s a level of denial? It’s a high level of ignorance of the population and the politician.Yes it’s denial because they would have to do something different. Do you think this is a species type of issue, like people are focussed on global warming… this EMR is affecting DNA, lessens quality of life, what is the trajectory of all of this? That is a difficult and very interesting question! High toxicity and EM load for sure, changes the DNA on a long term, and even in a life time. It can make the expression of the genes different. Dr Thomas Rau, thank you very much for being with us. We appreciate your insight. Thank you very much and all the best to you. 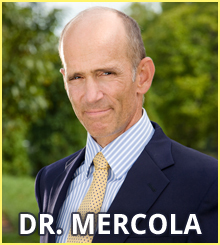 Dr. Mercola has done his homework. He’s found expert after expert confirming the harmful nature of many manmade electromagnetic fields. For example, Dr. David Carpenter, Dean at the School of Public Health, State University of New York is quoted as saying he believes it is likely that up to 30% of all childhood cancers come from exposure to EMFs. Concerns about EMFs increased dramatically after Paul Brodeur wrote a series of articles in the New Yorker Magazine in June 1989 about the subject. Because of Paul Brodeur’s reputation, his articles had a big impact on all of us. We do EMF home inspections in Toronto Ontario and surrounding area. According to a Swedish study on EMF, Extremely low frequency magnetic fields (of the type that emanates from distribution and use of electricity) are associated with an increased risk of childhood leukaemia in epidemiologic research and have been classified as a possible carcinogen to humans by IARC (WHO’s International Agency for Research on Cancer). While most research was done one and two decades ago, the association has been confirmed in recent studies. Learn more [PDF]. If you’re concerned about dirty electricity, magnetic fields, cell phone radiation, WiFi, and RF waves, then this may be for you. We do EMF inspections in home or office. We use professional EMF meters to track EMFs to their source. First we give you a verbal summary of our findings. Then we provide the results of the survey in a written report. We give practical steps on how they can be eliminated or avoided at minimal cost. EMF surveys start from as little as $300 and neighbouring properties may be able to share the cost of a survey. Please email us for details and a competitive estimate. Call Paul at 905-719-7030 or Email him here.